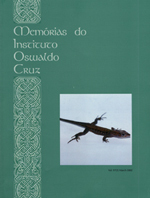 A brief historical overview is given of the most relevant taxonomic studies of insect groups vectors of transmissible diseases in Brazil, from the "heroic" times of the foundation of the Instituto Oswaldo Cruz in Rio de Janeiro up to the present. The following orders are considered: Phthiraptera (Anoplura, Amblycera and Ischnocera), Hemiptera (Reduviidae: Triatominae), Siphonaptera and Diptera (Culicidae, Ceratopogonidae, Psychodidae: Phlebotominae, Simuliidae, Tabanidae, Chloropidae and Muscidae). The most important Brazilian collections of each group are cited.